The North Jersey Affiliate was founded in 1997 on a promise "to make a difference" to a ten-year-old girl who lost her mother to breast cancer. Affiliate Board of Trustees, Medical Advisory Council, staff and over 700 survivors and activists fulfill that promise every day by delivering the life-saving message of early detection. 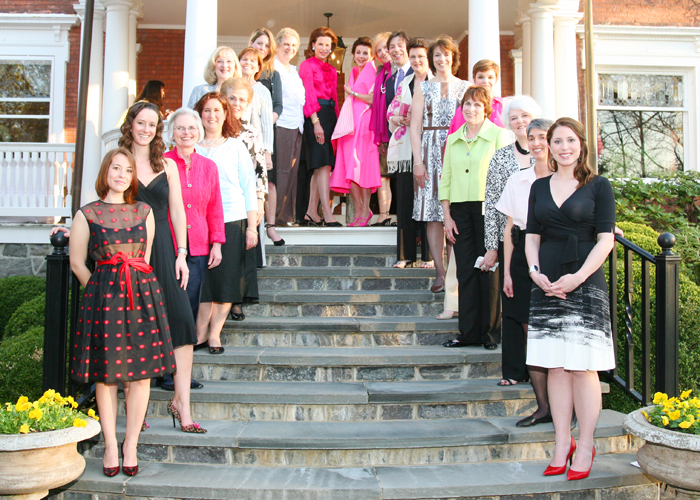 Through fundraising events like the Pink Tie Ball, the Affiliate supports community-based breast health education, and screening and treatment programs focusing on underserved and uninsured women. Seventy-five percent of net funds raised by the Affiliate stays within its service area* and the remaining twenty-five percent is directed to the Susan G. Komen for the Cure Award and Research Grant Program. Please stop by and visit us at our office located at 785 Springfield Avenue in Summit. While you are there, take a look at our wonderful assortment of "Komen" merchandise in our Boutique. There are great gift ideas for moms, dads, sisters, friends and anyone who needs some cheering up. Our office hours are Monday thru Friday, 9:00am to 5:00pm. If you can't get to the office, merchandise can also be ordered over the phone. Contact Nancy Dango at 908-277-2904, ext 10.